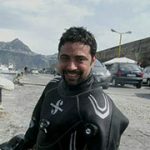 Sea Spirit Diving Resort in Giardini-Naxos Taormina is founded by PADI Course Director Carmelo Sgroi in 2012. We are a registered PADI 5 Star IDC Dive Resort so you can be assured that the quality of training and service meets the PADI standards. 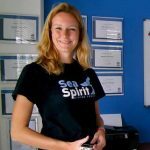 In 2016, 2018 and 2019 Sea Spirit got the PADI Award for outstanding commitment in the diving industry. Our resort is situated at Atahotel Naxos Beach in Giardini-Naxos, Sicily, Italy. We are located 100m from the beach and a short walk from many hotels. 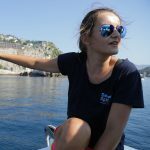 Our boats depart from the main harbor of Giardini-Naxos Taormina, only 10/15 minutes from each dive spot. We own two diving rafts. Sea Spirit 1 is a 7.40m diving raft (Altamarea) with a roof and has an outboard motor 150hp. Sea Spirit 2 is a 7.80m diving raft (Lomac) with a roof and has an outboard motor 200hp. On both boats a First aid kit and Oxygen tank is included. Our resort is equipped with air-condition, a classroom with LCD-TV for all the PADI-courses we offer, a bathroom, an equipment- and rinse area for all the SCUBAPRO dive equipment and a nice relax area surrounded by lemon trees. For all confined water parts of the PADI Courses, we perform the skills in an Olympic swimmingpool. The Olympic pool is just a few steps away and available every day any time. To make your diving experience the best as possible we provide SCUBAPRO equipment. We have 30 complete SCUBAPRO equipment sets. To guarantee a safe dive with high quality air in the tanks, we use a Coltri Compressor to fill all the tanks. Oxygen is available and is taken to every dive site. First Aid facilities are also available at the resort and First Aid Kits are taken to the dive sites with all staff being EFR trained. Emergency action plans have been prepared and are in place. Divers are asked to complete a registration form when diving with us and diver certification details are recorded. Our professional staff is insured through DAN. We are a registered PADI 5 Star IDC Resort, S-23630, and adhere to all PADI regulations regarding the safety and training of all our divers. 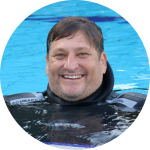 All dives are within the recreational no decompression limits and as good practice 3min safety stops are incorporated into all our dives. 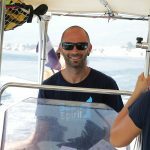 We are available for diving 7 days a week during the season (April – October) and are able to offer very flexible dive packages and training courses. Giardini-Naxos has many restaurants and bars so there is plenty of choice for dining out and evening entertainment all within walking distance. Local supermarkets, banks and shops are also all on the main street. A regular bus service runs between Giardini-Naxos and Taormina. Over 400 positive reviews on TripAdvisor allow us to continue our journey to achieve all our goals. We are really excited to receive appreciation from all parts of the world.